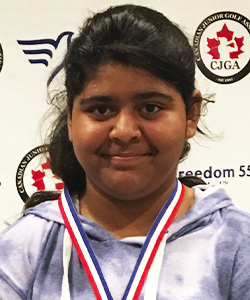 North York, ON (January 24, 2019) – The Canadian Junior Golf Association (CJGA) is pleased to announce the winners of the 2018 GOLFTEC National Order of Merit, presented by TaylorMade. The GOLFTEC National Order of Merit, presented by TaylorMade is a ranking system that awards points based on a player’s position at each CJGA event. Events are tiered based on the size and strength of the field. Additionally, the CJGA would like to congratulate Brooke Brezovski of St. Albert, Alberta, this year’s recipient of the Helena Harbridge Award. The award is named after Helena Harbridge, an outstanding junior golfer and CJGA alum that passed away in 2006 during her freshman year at West Georgia University. Winners of the Helena Harbridge Sportsmanship Award receive a gorgeous custom trophy courtesy of Lorry Moffatt at Classic Awards as well as a complimentary life time membership to the CJGA. “We are excited to announce the 2018 award winners and recognize them for their achievement” said Reegan Price, CJGA Director of Tour Operations. All 2018 National Order of Merit winners will receive a special gift package from TaylorMade. Additionally, the CJGA is once again very delighted to welcome GOLFTEC to the association as the title sponsor of the National Order of Merit starting in 2019 for the next three years. Michael Katsman (Richmond Hill, Ont.) played in six events collecting 2,563 points during the 2018 season. 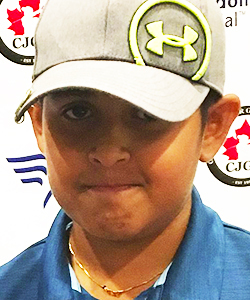 Posting top five finishing in both the CJGA PING Canadian Junior Match Play Championship and CJGA Mizuno National Junior Golf Championship, Katsman never finished outside the top five at an event. 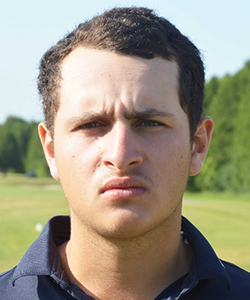 He captured the CJGA Humber College Invitational at Diamondback and finished runner-up at the DeLaet Cup Qualifier presented by Georgian College at National Pines. Camille Lapierre-Ouellet (Granby, QC) won three event and finished runner-up in three more as she captured the Junior Girls crown with 2,550 points. 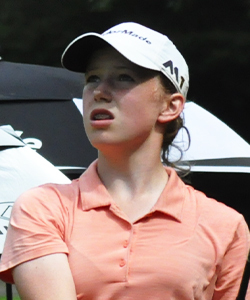 Her victories came at the CJGA Atlantic Spring Classic, presented by TaylorMade, Humber College PGM Junior Open, and the CJGA Junior at Le Victorien. 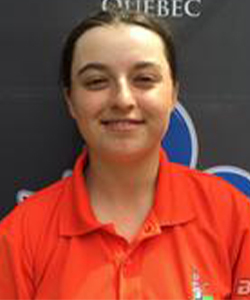 One of her runner-up finishes came at the CJGA Quebec Junior Open, presented by Humber College PGM, one of the strongest CJGA fields in Eastern Canada. Bradley Parker (Toronto, Ont.) played nine events during the 2018 and amassed 3,389 points. 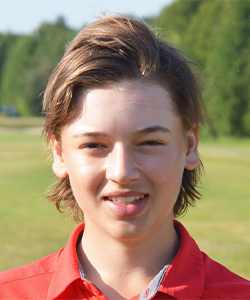 Finishing runner-up in two events, Parker claimed victory at the season ending CJGA Mizuno National Junior Golf Championship and made it to the semi-finals of the CJGA PING Canadian Junior Match Play Championship earlier in the year. He had three additional top five finishes and finished 6th in the David Hearn KIA Championship. Ella Weber (Burlington, Ont.) 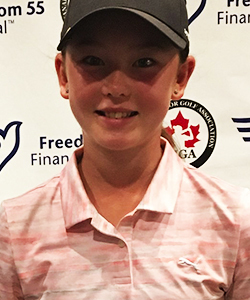 captured a divisional title in the CJGA Niagara Parks Junior Series and the CJGA Eastern Junior Championship, presented by TaylorMade as she tallied 3,088 points. Additionally, Weber had one runner-up finish and five more top 5 finishes during the 2018 season. Ishaan Sandhu (Mississauga, ON) amassed 4,513 points during the 2018 season. He captured three divisional titles and had eight runner-up finishes in the 15 events he competed in. Jahnavi Bharani (Brampton, ON) played in 11 events and tallied 3,563 points. She had four divisional titles along with four runner-up finishes and three 3rd place finishes. Shelby Hardwick (Aurora, ON) played in eight events in 2018 collecting 2,475 points. 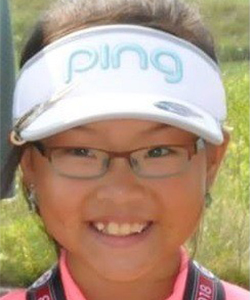 She had three divisional titles, including the CJGA Linkster National Championship at Nottawasaga. Additionally, she had two runner-up finishes along with two 3rd place finishes and one 4th place. 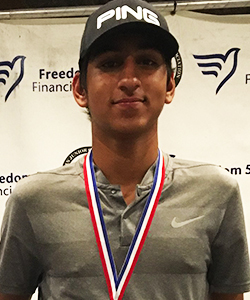 Manav Bharani (Brampton, ON) tallied 3,739 points over 12 events during the 2018 season. He captured seven divisional titles accompanied by four runner-up finishes and one 3rd place finish. Shauna Liu (Maple, ON) totaled 3,850 points in 13 events. 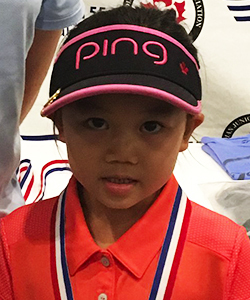 Liu captured two divisional titles, including the CJGA Linkster Mid-Season Championship. She had five runner-up finishes along with three 3rd place finishes. Zach Lederer (Toronto, ON) played in 10 events in the 2018 season and tallied 3,200 points. 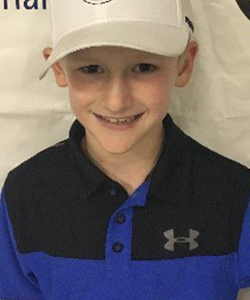 He put together one of the best seasons in the 12-year history of the CJGA Linkster program as he captured seven divisional titles and finished runner-up in the other three events he competed in. Kaeleigh Chung (Richmond Hill, ON) tallied 2,250 points over her 7 events in 2018. She captured three divisional titles, three runner-up finishes, and one 3rd place finish. The Helena Harbridge Award is an award dedicated to the memory of Helena Harbridge, a CJGA alumna, who passed away in 2006 during her freshman year at West Georgia University. The award exemplifies the traits that Helena exhibited throughout her career, both on and off the course: sportsmanship, dedication, and contribution to the game of golf. Each year, the Canadian Junior Golf Association selects one female junior member for this award. The award recipient will be one that holds the same characteristics that Helena exemplified. The recipient of the award will also receive a lifetime membership with the CJGA. Through its six-stage competitive development program that focuses on tournaments, clinics, international competitions, and mentoring programs with PGA Tour professionals, the CJGA introduces the game to juniors as young as five and offers competitive multi-day events for the more advanced golfer. The CJGA acts as a feeder system to provincial and national competitions, collegiate and university golf, as well as professional and recreational golf. For more information, please visit cjga.com.